Bed bug infestation problems are not to be taken lightly. Home owners suspecting bed bugs in their home need to address the problem quickly to stop the further spread of these pests. Preventative measures can be undertaken quickly including contacting a professional pest control company. For efficient, cost-effective and thorough eradication of household pests, the utilization of a professional is strongly recommended. Since the 1990s there has been a significant rise in the incidence of bed bug infestation. It can be helpful to know how these nuisance pests spread and what signs to look for in a home. 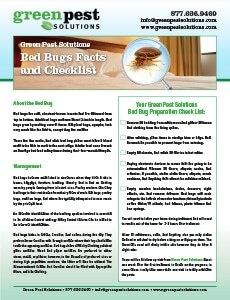 Bed bugs spread on hair, clothing, pets, furniture, dry cleaning, purses, bedding and backpacks. Bed bugs can live for as long as 10 months and they can go for about three months without eating. They prefer humans as their host, but will also feed on household pets. Most people are unaware when they are being bitten by a bed bug because their bite is painless. It is only later when red itchy welts develop that a person knows they have been bitten. For this reason most people will sleep through a bed bug bite. Bed bug prevention is an important step in every homeowners fight against infestation. These pests can spread and reproduce at an alarming rate. They lay small white eggs, which are often not detectable. Every day of delay before seeking treatment of one’s home, matters. The longer a homeowner waits to remedy the problem, the more likely that the infestation can grow and force the homeowner to seek to more extensive and aggressive methods to treat them. Adult bugs will be rusty in color, have no wings, and will be visible to the naked eye. After they have fed, their bodies begin turning reddish-brown and they begin to swell. Usually humans will experience the worst of the bites, but dogs, cats and other household pets will need to be treated. 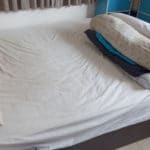 Thorough and proper professional assessment and treatment is necessary to completely rid a home or office of bed bugs. Bed bugs can be nearly impossible to be rid of without the help of a professional pest control company. 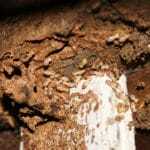 Professionals can treat a home for infestation as well as educate a homeowner regarding future bug prevention. Watching for signs of infestation often reveals bugs in clothing, sheets and mattress folds. As the infestation spreads, they will be found in the bed frames, household furniture, behind the baseboards, and in the cracks of the door and window facings. 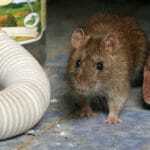 A licensed pest control company will consult with a homeowner, looking for the signs of infestation. The Department of Health and Senior services suggests that homeowners who think they may have the start of infestation, or a full-blown infestation, consult with their pest control company. Most companies offer free initial consultations in which they will explain the course of treatment necessary and answer any questions a homeowner may have. Extermination should be commenced quickly to achieve the best possible outcome. 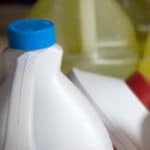 Most often the treatment will involve insecticide, thorough cleaning and possibly disposal of some household items. Home remedies are not recommended and often merely delay the assistance of a experienced pest control company.